What a great day we had last year, on July 6th! We had an excellent time, and were blessed with a beautifully pleasant day! It was wonderful to see so many of you coming to the festival, it was great to see you having fun, singing along with the artists, dancing, playing. There was so much fun that people stayed until late in the night, only to be delighted by the firefly show, a wonderful surprise in the beautiful Romanian Park ”Campul Romanesc”, of the Romanian Cultural Association of Hamilton, a team of good people from our community to whom we thank for kindly sharing the park with us and for building the outdoor stage especially to accommodate our festival. The kids had an awesome time, didn’t they? They had a lot of fun with Kidz Kidding, singing and dancing on the stage with Costa, water fights near the river with Sunita from Teddy Loon. How about face painting? Wasn’t that beautiful? So many pretty colorful faces! Great artwork, Mana! Did you see Gawri Manecuta’s book inspired by her wonderful experiences in Romania? Very nice, thank you, Gawri! 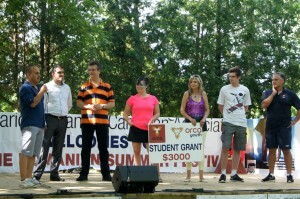 Let’s congratulate together Patric Plesa, the winner of this year’s student grant! Well done! Stay tuned for the interview with Patric. Thank you, Father Ciprian, for the beautiful Te Deum service! So, thank you to you, the guests! You made the festival a great success, inspired the artists, the dancers, and the organizers. And thank you for spreading the word and getting more people to enjoy the Summer Festival! Please join me in thanking the talented artists, members of our community, for bringing so much joy to us all! Thank you Rucsandra Saulean and Costa Tovarnisky, Gilmaro, Raluca Vulpe, our DJ Valentin Coman and his guests, Terra Band: Marius Dumitrescu, Cornel Iftode and Vicentiu Dumitrescu, Flori Tigau and Dan Florea. The Hi Trend dancers and the ARTA folk dance group from Kitchener-Hamilton were fabulous! The audience could not help joining in the hora! What a beautiful moment that was! We extend our gratitude to the artists that enchanted us with their paintings, on canvas or faces, with their exquisite artistic photography! Doru Cioata, Manuela Stefan, Mana Balos, thank you for the colours and for sharing your superb art with us! The food was delicious! The grill, the traditional dishes – mouth-watering! Many thanks to Iuliana Barbu from Granny’s Kitchen, and Rares Fodor from European Deli! To the sponsors, Romanian organizations, media partners, service providers, thank you very much!!! To each volunteer, thank you for an excellent job! Very professional, courteous, it has been great knowing and working with you! 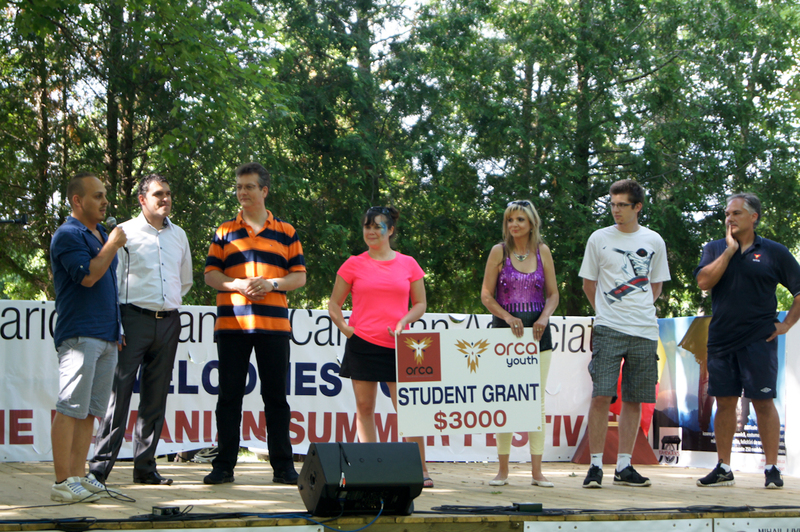 Many thanks to the committee who was responsible with evaluating each application and selecting the 2013 ORCA Student Grant winner: ORCA Youth – Laura Petrisor, PULS TV – Felicia Stepan, Biserica Ortodoxa Sf. Proroc Ilie Tesviteanul – Ciprian Pasca, Romanian Student Club – Mihai Nicolae, AREC – Daniel Cheoreanu, Romanian Soccer Academy – Cristi Banaru. Amalia Sipos, Ana Maria Macarie, Anca Mitu, Andreea Codrina Gavril, Angela Stănescu, Angi Horea, Bogdan Stănescu, Ciprian Pașca, Dan Laserson, Daniel Olteanu, Flavia Albu, Florin Stefan, Horia Petrușan, Ioan Horea, Iuliana Laserson, Laura Petrisor, Liviu Andrei Grigore, Lucian Roman, Mihai Iacob, Mona Medan, Nicole Dronca, Octavian Iancu, Simona Brănișteanu, Sorin Iulian Mitrea, Sorin Mitrea, Sunita Brănișteanu, Veronica Sireteanu, Vlad Mitu. Exemplary work! To all, please drop us a note at contact@RomanianSummerFestival.org, tell us what we did well, what you liked, so we keep doing it, and where we can do better so we can improve. We are already planning ORCA’s next events and your input is key. Please share your invaluable advice with us and we will do our best to create more tremendous experiences for everyone involved! Thank you again! Have a wonderful summer and hope to see you this fall for another great festival! 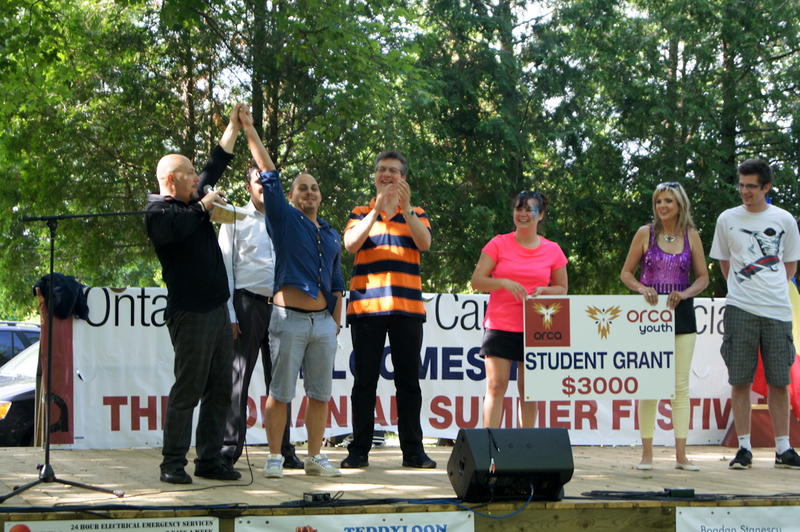 News	Ontario Romanian Canadian Association, Romanian Summer Festival 2013	No Comments on Thank you! I want that book mommy! 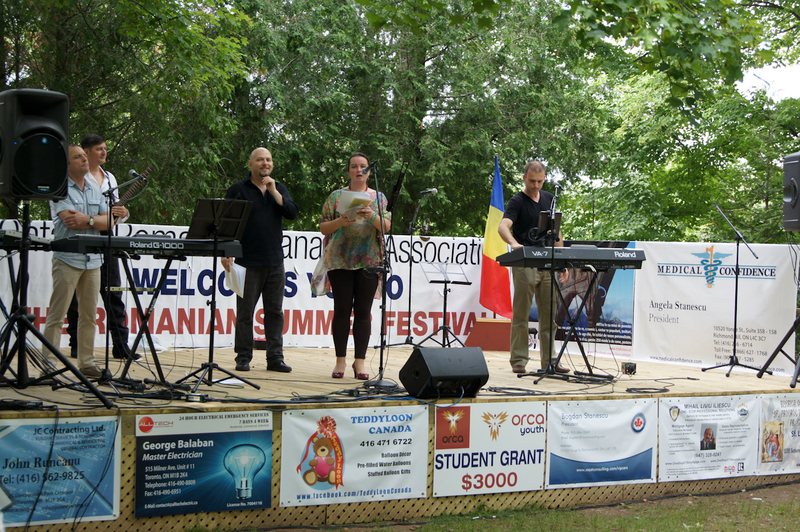 On July 6th I had the pleasure of attending the Romanian Summer Festival, an annual event organized by the Ontario Romanian Canadian Association (ORCA). This year’s event was held at the Romanian Park in Freelton, ON. The outdoor stage was set, the picnic tables were dressed with blue, yellow and red tablecloths and the smell of Romanian cuisine filled the air – a smell I am all too familiar with. My son eyed the mouth watering Savarina the moment it came out of the kitchen. Warmth and friendliness invited us as soon as we entered the community center. I had donated five of my books for the raffle draw. 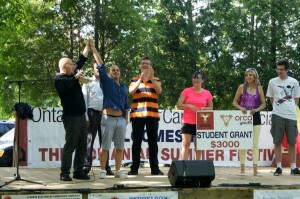 The highlight of my day happened on the stage, while Bunica’s Tomatoes were on display, waiting for the raffle draw. At one point a two year old, boy grabbed my book while casually walking on the stage and ran away with it. His mum snatched it back from him and put it back on display. That’s when the other little kids gathered around my books as the two year old had to walk away. So cute! So, even though I had sold two books, the biggest satisfaction was seeing my book enjoyed by the children. I had to leave before the books were presented. I hope the readers enjoyed it and are passing the message to other Romanians. Yesterday I had my first interview having been interviewed by PULStv. I wasn’t nervous, but I didn’t know whether to look into the camera or at the interviewer. Normally, I am the paparazzi with the camera on someone’s face. You can check out the interview later this week at the PULStv website. Thank you Felicia! It’s been a pleasure. I will be sure to come back next year with my family, wear my dancing shoes, and donate a few more books. It was a good experience. I grew up in a country with varied cultures and languages. As a child I wondered how it would be to live in a country where most of the people spoke the same language and had the same religion and culture. I experienced it when I first visited Romania many year ago. My family and I have been lucky to experience the best of many cultures and I am glad to have taught my kids to embrace the best of their own cultures – European, Asian and North American. With so many unfortunate events taking place in the world today, we should all just enjoy the best things our cultures have to offer, while staying away from the negatives. Thank you for the invitation Iuliana – great event! We had fun and we will return. News, Sponsors	Gawri Manecuta, Ontario Romanian Canadian Association, Romanian Summer Festival 2013	No Comments on I want that book mommy! Get ready for a day full of fun in the sun… Romanian style! Mark the day in your calendars: September 20th, 10:00 am – 9:00 pm on the beautiful park grounds Simeon Park in East Gwillimbury, 13390 Woodbine Avenue, Ontario, L0H 1G0. This second edition of the Romanian Fall festival is the biggest outdoor party of the Romanians in Ontario! 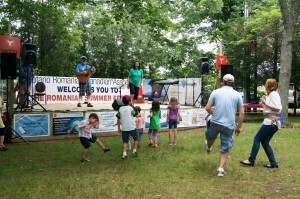 This family oriented event has a lot of fun activities for all. Kids` activities and puppet shows, lively music for both young and young at heart, delicious traditional Romanian cuisine, live performers, enjoy the Romanian folk dances or join in the rhythm. Have fun playing soccer or volleyball, in the pool, or enjoy the art exhibits. Last but not least, exciting raffle prizes. Most importantly, a day full of laughter with family and friends in the middle of a wonderful park. So come with your family, bring your friends, your neighbours or co-workers, meet new friends, enjoy summer. Want to save more? Bring your family and friends and enjoy 30% online discount for groups of 15 or larger. Please contact us for discount code at info@2012orca.org. Online discounts valid until September 14. 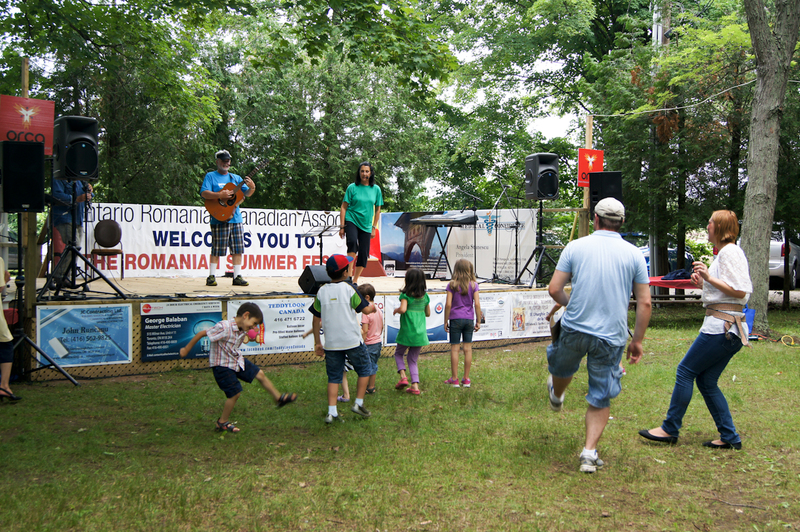 Admission & Parking, News	fun in the sun, Ontario Romanian Canadian Association, Romanian Park Freelton, Romanian Summer Festival	No Comments on Get ready for a day full of fun in the sun… Romanian style!